(SR5) Brand new Alpha PRO FF E-mount camera to be announced before the CP+ show in February! 1) First of a complete new generation of interchangeable Full Frame E-mount camera(s). Which means the tech is redesigned from ground up! 2) Complete new sensors (this means brand new tech and huge bump forward in quality). I hope to get details about that soon but it should have “many” Megapixels. 3) Use of an advanced version of the hybrid A6000 autofocus system. 4) Unlike the current A7 series this new generation of FF E-mount cameras are made for the very PRO market! Designed to challenge the best DSLR cameras on market like the Nikon D810 or Canon 5DmarkIII (on aspects like autofocus, reliability, build quality and features). Also lenses to come too: New FE lenses will be announced along the new camera launch (including one lens that has no specs on the official roadmap). Possible surprises: I also got word about other cameras (1 A-mount and 1 E-mount). But sources didn’t tell me if those will be announced at the same event too. More tidbits about the new camera: I have been told the A7 camera series was a Sony “attempt” to study the market. This new PRO FE camera was developed with maximum possible resources and tech knowledge. It will be Sony’s first serious camera to fight against the big ones. We will finally see if Mirrorless can succeed against DSLR cameras when it comes to “grab” the professional market. 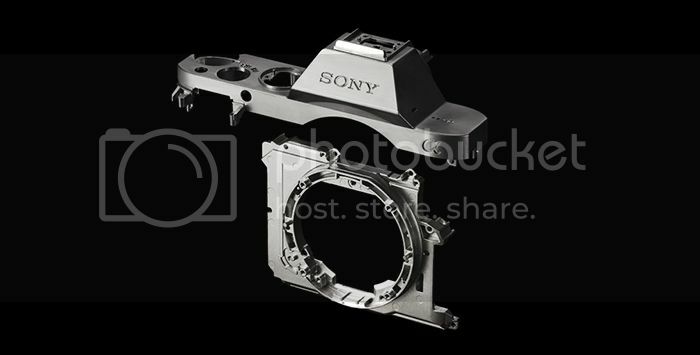 That camera is also the main reason why Sony is launching their PRO service all over the world (article on SAR here). It’s also very likely there will be different variations of that new camera generations coming during 2015 and 2016. What are you hoping for? While I am working to get 100% reliable specs on the camera just let us all know in our comment system and/or on our SonyAlphaForum how you would like that new camera to be…more megapixels than the A7r? Bigger than the A7 series? “Rangefinder” design? HYbrid EVF/OVF? Hot: The full Black Friday deals can be seen on at that Amazon US page (Click here to see the long list). previous post: (SR2) Possible E-mount APS-C lens roadmap for 2015! next post: (SR4) Hot news! Sony revolutionizes the sensor world? Makes world’s first Active Pixel Color Sampling sensor (APCS).